So I've finally got to see Brooklyn this week and I thought it was good. While I didn't think it was "2015 best and most beguiling love story", or "The best movie of 2015", but it is a well made movie. Saoirse Ronan delivers a remarkable performance that really dose carry this movie. The sets, the costumes and the direction were all top notch and I have no complaint there. Unfortunately, I can't see myself watching Brooklyn again if I have to be honest. Some people may disagree with me and that's fine, because you can like whatever you want and I'm not telling you what you should like or feel about a movie. It's one of those "It's good, but never again will I be watching it again". 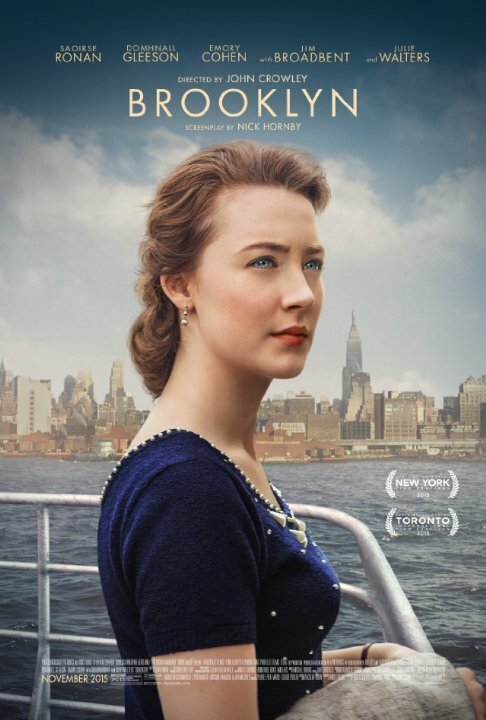 'Brooklyn' is a drama/romance/period-piece that feels accessible to a wide audience. Ronan is so sweet in the lead role. You really do feel for her right from the first scene. Her troubles and her accomplishments are relatable to the given circumstances of the story. There's no contrivances, coincidences, or forcible situations usually found in these types of films. Everything comes naturally through the characters in a truthful manner. The story stays focused on it's small endeavors and paints them with intimate strokes. While watching, It gives the feeling of a warm hug. This is the kind of movie that you could take your grandma to and both of you would enjoy it. I liked 'Brooklyn' much more than anticipated. In short ... give that girl an Oscar ! "Would you like to dance? Are you here with that guy? The one who was teaching you to dance? So would you dance with me? I'm not sure he taught me anything. Doesn't matter. The secret is to look as though you know what you're doing. Ah. I wish someone had told me that years ago."